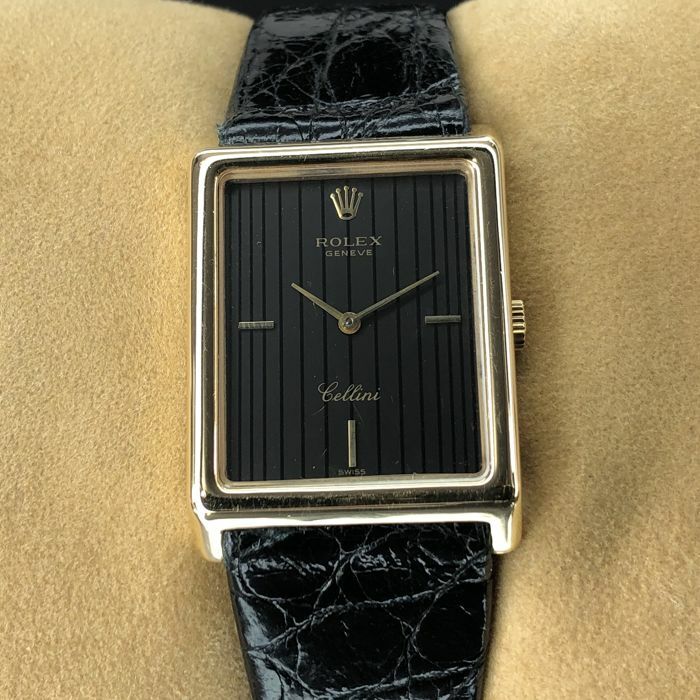 Original ROLEX CELLINI 4105 GENEVE DARK GREY BLACK LINED DIAL SQUARE-SHAPED 18K YELLOW GOLD watch made in 1981. 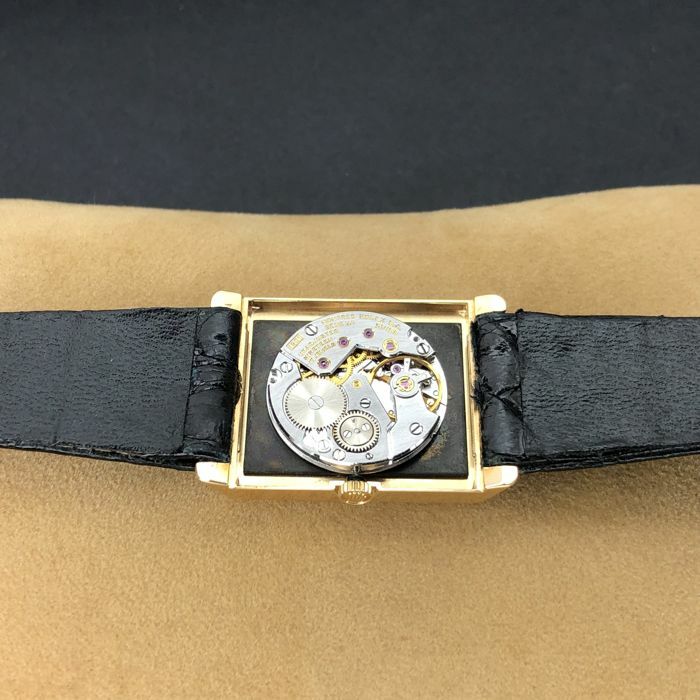 The watch is in a fully working order and is in good vintage condition, with surface scratches that are to be expected on any watch of this age. 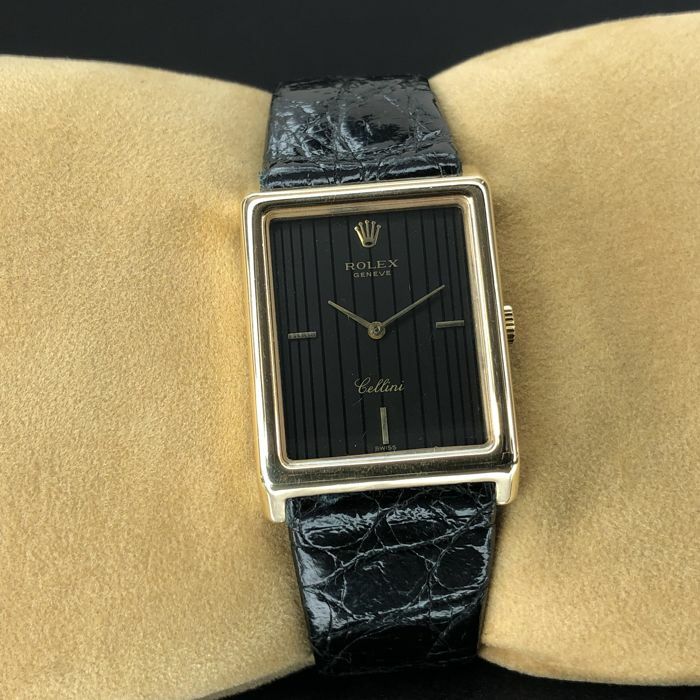 This model features an original dark grey black lined dial, with nice yellow gold hour marks at "3", "6". 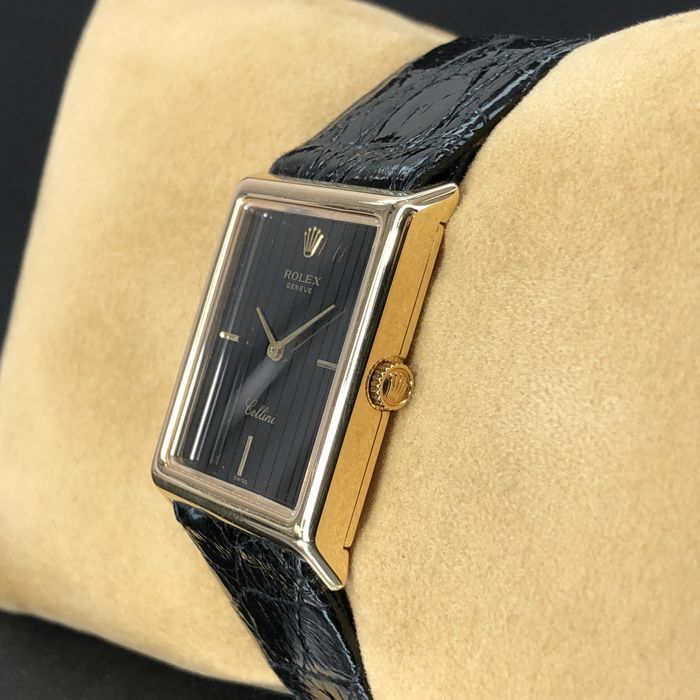 "9" o'clock, signed "Rolex", "Geneve", "Cellini", " Swiss ", with beautiful yellow gold center hours and minutes hands. 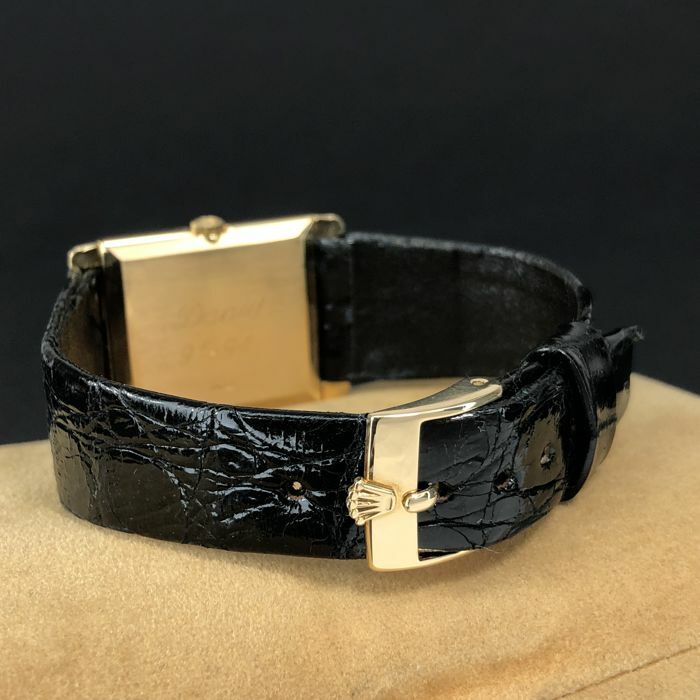 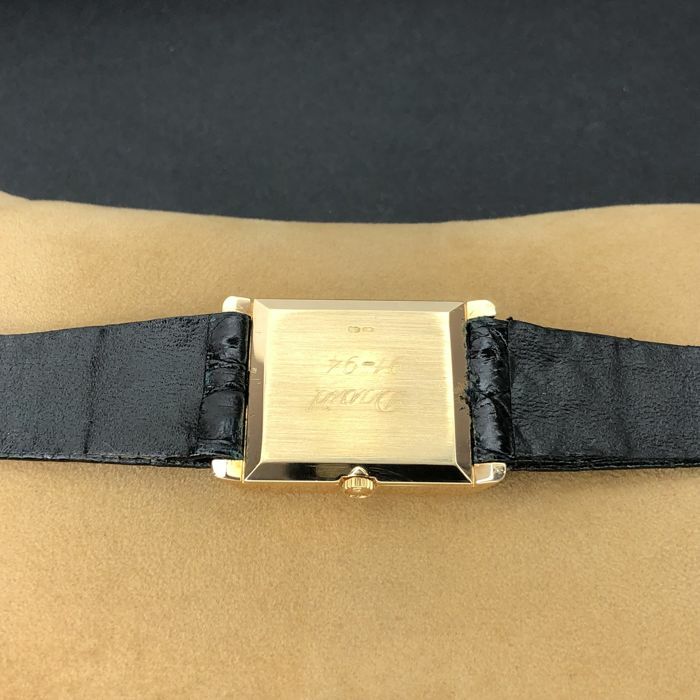 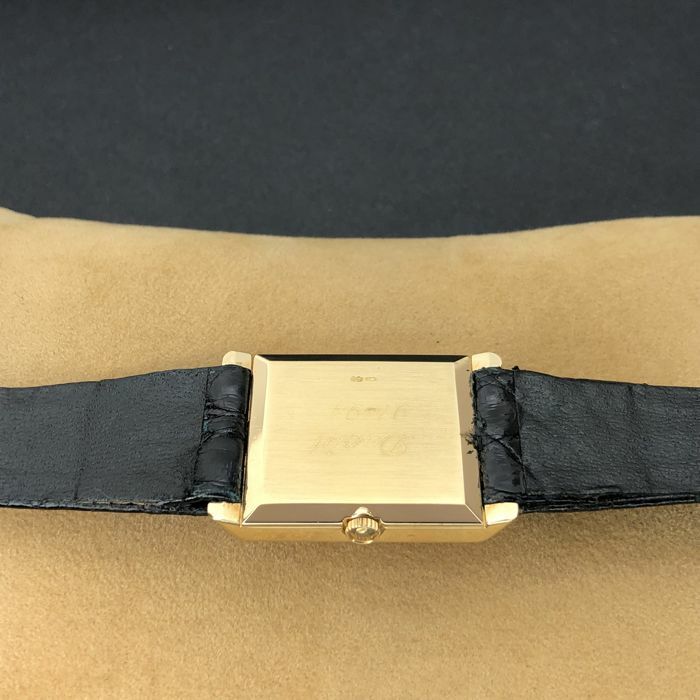 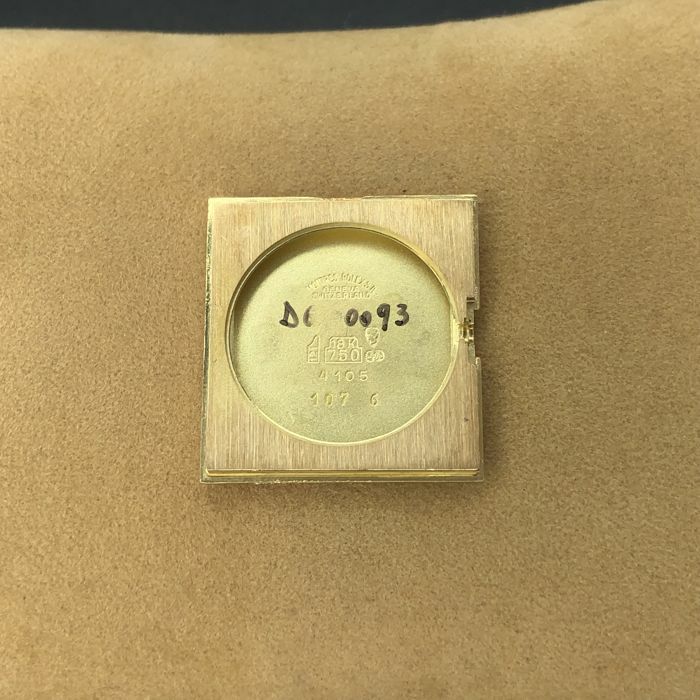 The square-shaped case made from 18k yellow gold, measuring approximately around 26 mm (1,02 inch) across excluding the crown and 35 mm (1,37 inch) from lug to lug in very good condition, with minor surface scratches that are to be expected on any watch of this age. 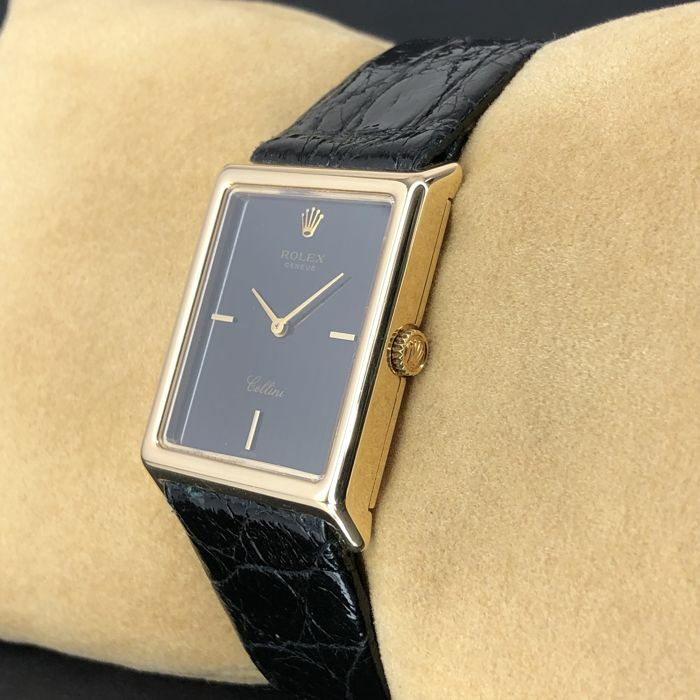 The 18k yellow gold winding crown is completely original, signed with the famous "Rolex" logo. 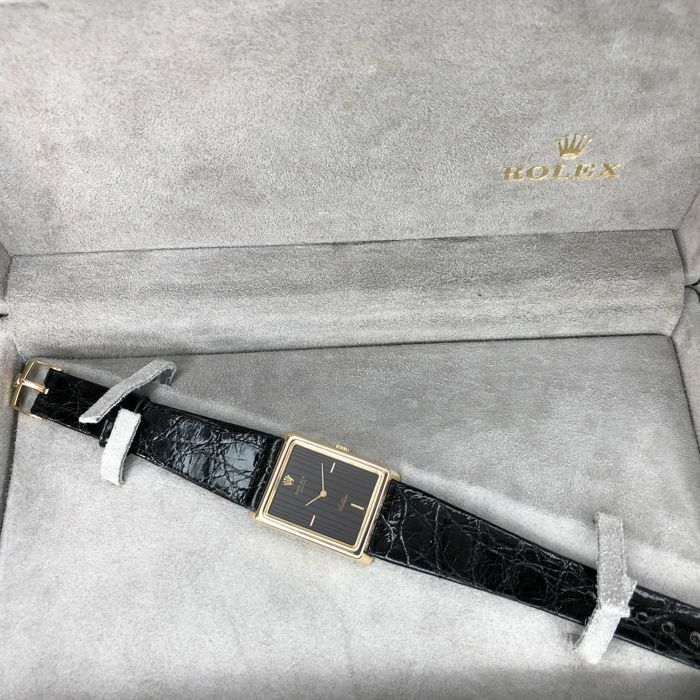 Others: With original "Rolex" box, no papers.